Your Procare Touch check-in computer may go into “Recovery” mode with error code 0xc0000001. See the full text of the error and image below. The second Tuesday of each month, Microsoft releases their latest patches and updates. 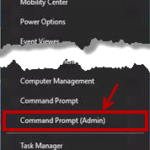 Computers that run Windows 10 IOT and are set to automatically install these updates can encounter issues where the updates are not compatible with that version of Windows. Connect a USB keyboard to the Procare Touch computer. 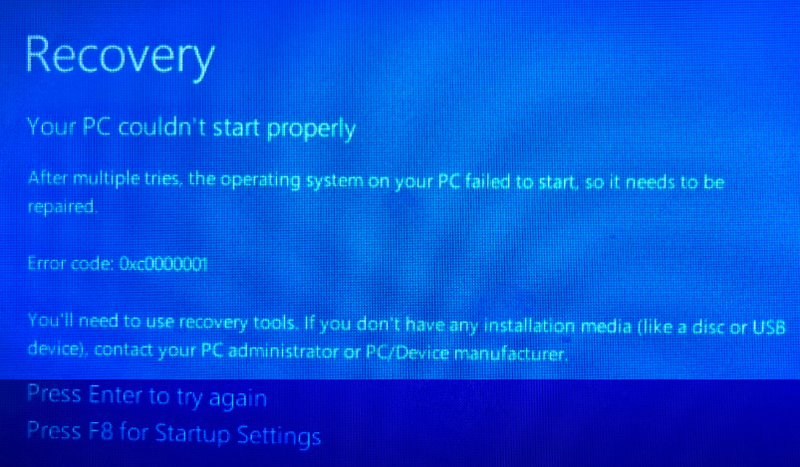 From the Recovery error screen (image above), press the F8 key, then select option 7 called ‘Disable Driver Signature Enforcement’. Your system will start up. 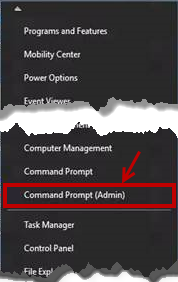 While still at the Command Prompt window, type ‘sfc /scannow’, then press Enter. It will tell you ‘Beginning verification phase of system scan.’ This process may take 30-45 minutes (good time to get a cup of coffee). When done it will say something like ‘Found and repaired corruption’. 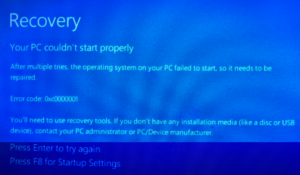 Reboot the computer and it should start up without a problem. You may now unplug the keyboard and use the Procare Touch as expected. In specific circumstances (see cause below), you may find that earnings and withholdings on certain payroll reports do not show the expected amounts. This may occur on any report that includes both earnings and withholdings. This will happen only if you post and print checks on different days—and choose a Date Range for the report that does not include both the Post Date and Print Date. With the recent release of version 2018.6, earnings are now based on Print Date (date of issue), while withholdings are based on Post Date (date of entry). Make sure the Date Range of your report is broad enough to include both the date checks were posted and the date they were printed. Procare Cloud and MyProcare will be unavailable one Sunday each month (see list below) for routine monthly maintenance from 7:00 p.m. to 9:00 p.m. Pacific Time. Once maintenance is complete, simply restart Procare to re-establish your connection. We apologize for any inconvenience. Note: This also affects Procare Web Apps, and the Online Wait List (OWL). When running one of the two new Royalties Reports, the Select Filter (image below) is for employee information. The filter does not apply to these reports and should not be shown. Although it shouldn’t be there, the employee Select Filter has no effect on the Royalties Reports, so it’s perfectly fine to use those reports. The filter will be removed in the next scheduled Procare update. The operating system returned the error ’32(The process cannot access the file because it is being used by another process. )’ while attempting ‘RestoreContainer::ValidateTargetForCreation’ on ‘C:\Program Files\\Procare\Database\Procare.mdf’. Although a second message may say the restore was successful, it really was not successful. The data will be as it was before you attempted to restore the backup. The double backslash in the file path (\\Procare) causes the restore process not to be able to locate the backup file. For the time being, please Contact Support for assistance in restoring your backup. This issue will be fixed in the next scheduled Procare update.